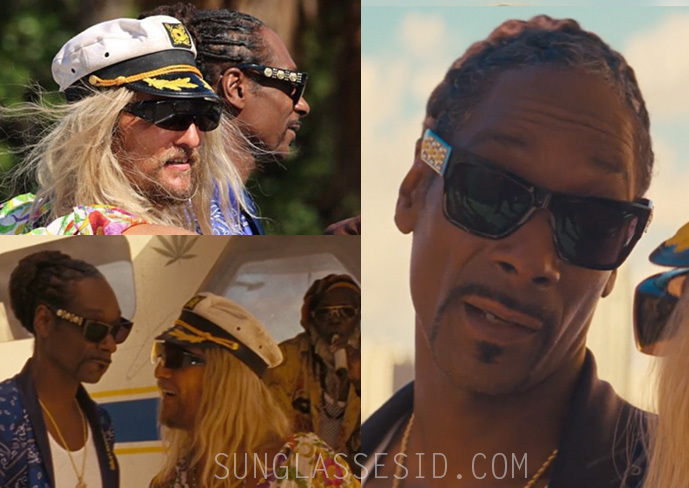 Snoop Dogg wears Versace VE4289 Medusa Gold Medal sunglasses in The Beach Bum. Snoop Dogg wears Versace VE4289 sunglasses in The Beach Bum (2019). In the same film he also wears black and gold Versace VE2150Q C62 sunglasses. The Versace VE4289 GB1/87 Medusa Gold Medal Sunglasses have a black frame and gold Versace 'Medusa' logos on the side of the black arms. Find these glasses online at Amazon or eBay.